The Triangle real estate market is hot right now so finding a REALTOR that is experienced and knowledgeable is more important than ever. Inventory is low and homes are selling quickly. Having an agent working for you that is constantly looking ahead for new properties coming on the market, skilled with competing offers and ready to jump when you are is your best chance to win that home that you love. I strive to provide the most professional, informative, loyal and dedicated service possible to my buyers and sellers. Your best interests will always come first and I am dedicated to developing long-term client relationships. I personally will work side by side with you through every step of the transaction, from our first meeting to the closing table and everything in between. Whether you are downsizing and selling your family home or it is time to find that home you’ve been dreaming about, I will make it my goal that the experience is a great one! I am a full service REALTOR that is experienced working with sellers, buyers and renters. For sellers, as your agent, from the decision to list your home to closing I will communicate what to expect and walk you through each step of the process. From determining your homes price and preparing your home to sell, through negotiations and settlement you will have peace of mind knowing that I will handle all the details. My goals are to get the best possible price for your home and sell it quickly! If you are a buyer, my goal is to help you find the perfect place to live in one of the Best Places to live in the country! I will walk you through each step of the process with confidence. Contact me to get started and I will email the latest listings that fit your home search as they become available on the market. What Is a Full Service Agency? Our Fonville Morisey Realty affiliated lending, insurance, home warranty and title services allow you the convenience of satisfying all of your real estate needs in one place. I work side by side with each of them to make sure everything is taken care of seamlessly for you. Keeping up in today’s crazy real estate market can be difficult. There is so much to know and it’s constantly changing! 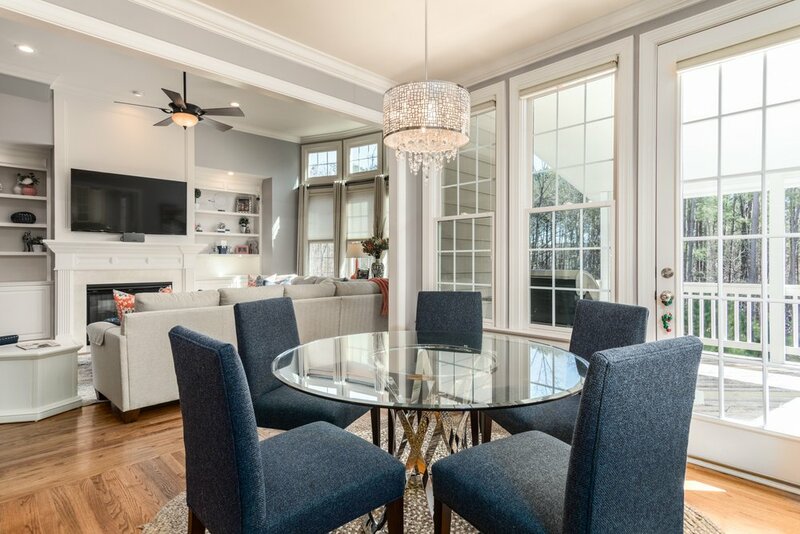 Click to read up on current trends in home decorating, finding out about financial changes and mortgage rates, whats new in home sales and current events around the Triangle area. Find out why you should choose me to be your agent! I help take the stress and uncertainty out of the home buying and selling process. It is my goal to provide the absolute best customer service to all of my clients. I am there with them every step of the way from the first meeting to the closing table.